I don't disagree, however the similarities I was referring to is how Shuri and Killmonger have more popular movie versions but Marvel is trying to graft that onto the comics lore/histories, like Marvel did with Blade (and did mostly poorly). There is much more lore/history with Shuri to be certain and that makes the job difficult, as well as the comics Shuri had a different personality than the movie one. Comics Shuri also looked older to me, though I don't know how old she was. From what little I've read of the comics Killmonger he's not that much different than the movie version, though his beliefs weren't as sharpened. Though comic Killmonger has less backstory and focus than comic Shuri, I still would've been fine if they retconned the comics version to make him the cousin of T'Challa to just make the connection neater. Unfortunately the film didn't have the time to show us how Killmonger met up with Klaue, etc. and I would've liked to have seen that. Also, I would've liked to have seen more of Killmonger's girlfriend from the film as well. Basically all I'm saying is that I agree with you on comic Shuri. This series is incredibly jarring in terms of the forced change I mean this goes against even what Coates was doing. As for Erik I am fine with them not adopting the full mcu Kilmonger because it's supposed to be his origin story for the comics, not the movie so it doesn't have to be exact. I'm not arguing here; more so I wanted to clarify what I had written before because I wasn't sure it was clear. I will say though I don't feel as good about Killmonger's book or as bad about Shuri's as you do though. The feminist undertones in the Shuri book are not for me, and I'm iffy on the artwork. I am leaning more toward Killmonger's book, in part for some of the things you pointed out. There's more room to play around with Killmonger, to mix the MCU and comics versions together. I still wish that both Shuri and Killmonger were miniseries that built on the movie portrayals. I do think there is less dissonance though if a new reader got into Killmonger's book compared to Shuri's. I could see new readers, who loved Shuri in the film, being a bit lost if they read that first issue. Though that's something that isn't unique to Shuri, it happens pretty much with other characters that make it to the movies or television as well. It seems at best the comics might do a visual reboot or add a few characters from the show or movie (like how the Green Arrow comic introduced both Felicity and Diggle, and attempted to graft them onto that ongoing story, which wasn't great IMO. And I don't think either stuck around long. I haven't read all of those books though and not sure when they both were dropped. I think Diggle lasted longer than Felicity). Since Shuri made such a splash with audiences I wish Marvel had dedicated a comic that captured her voice and could be a gateway for fans of the movie interpretation, to fully capitalize on the popularity of the character. I also thought that Killmonger's MCU backstory had a lot of space to fill in and would've liked to have seen that as well. It could very well be though that the antagonistic "Knight" in the first Killmonger issue turns out to be a stand-in for his doomed girlfriend. Making Killmonger part of the royal family simplifies things more than the comics version IMO. I wish Blade comics had just rebooted or re-imagined back in the day using the movies as the inspiration, more than just for visuals. Just re-imagine the old Blade stories and characters through the lens of the then popular films and maybe Marvel would've had another hit book on their hands. I completely agree with the ideas about blending and/or reinterpreting Blade, Felicity, Diggle, Shuri, Killmonger, etc. except for Zuri [ who should survive, and blend CJP's version with the MCU version ]. The notion that MCU Shuri is the prequel to current RH+Hickman Shuri is the essence of common sense, imo. Making Killmonger YET ANOTHER Royal Family member is both a cool move and a bit of a tiresome gimmick. It's incredibly cool because MCU Killmonger as interpreted by Michael B. Jordan? Is dat dude. Period. It'll be very hard for anyone else to be Killmonger. It's a bit tiresome because it requires willful editing of the Royal Family members, and reduction/changing/altering/weakening the story. Hunter's story becomes very difficult to reconcile, forcing a fundamental change in the character AND the seminal CJP run. Which imo shouldn't happen at all. Especially when there's ways to write all of these pieces together and weave them into incredibly compelling wholes. Plus explain everything from McGregor's run to right now without erasing Continuity. This also ignores Royals and those closely linked to the Royals who have incredible potential as allies, enemies and frenemies...like Uncle Syan, cousin T'Chan, D'Cigswayo aka D'Ciggs Shuri's twin brother [ whose history they completely erased; in the early aversions of T'Challa's history recorded on Wikipedia I saw D'Ciggs' name madd years ago, just a mention of "D'Cigswayo", a name taken of course from the warrior leader of similar name...Dingiswayo, the second King whom Shaka Zulu served under. This continues the Shaka Zulu theme, as quite obviously the names "T'Chaka" and "T'Challa" of course come from the name of Shaka himself. When I saw his name, Jakarra's history, and that Ramonda was pregnant at the time that RH had Klaue attack and kill T'Chaka...I made D'Ciggs the twin of Shuri. I also pondered making D'Ciggs the twin of Mateena and T'Chaka's son Jakarra, but that brings D'Ciggs too close to Killmonger's background story imo ] and leader of the KMH, Jakarra from whose story I see elements of MCU Killmonger, The Black Musketeers to whom I added both Battlestar and Triathlon [ due to their previous association with BP ] to and recast as Kifalme Mashujaa ya Heshima which means "The Royal Heroes/Warriors of Honor", Priest's iteration of The Crew whom I had to rename as "The Shadow Squad" in English and in Swahili as Kikosi Cha Kuvuli [ "Shadow Squad" ] due to TNC's complete change of The Crew's roster, etc. Whoa brother, you went deep. I've never even heard of D'Ciggs. I have heard of Jakarra though, and I wish he hadn't been written out of continuity. I do agree that making Killmonger part of the royal family is a tiresome trope, however it does simply things and I was thinking in terms of new readers. That being said, you don't want to put potential or imaginary 'new readers' over tried and true readers either. But at the same time, older readers have been charitable when it comes to revising the royal bloodline already, so might be more so again, if there is a benefit to building on Black Panther universe's popularity on the printed page. Normally I do like adhering to canon and continuity, especially for something like Star Trek, as opposed to ditching it. But comics-already are pretty fluid when it comes to continuity-and I am okay with being flexible when it comes to Killmonger even within the ongoing Black Panther title. Though with Shuri, I prefer the Hudlin version in the ongoing title, and a non-continuity MCU take on her for her current solo book. I'm sure I've said in the past, but your knowledge of this character and what you bring to it, I think you need to create your own character and really bring all of what you have to that character, something Marvel won't do with Black Panther and his world. I'm a fan of Black Panther, many of the supporting characters, but not to the level of you and many others on this forum. That being said, I always have to keep in mind that he's owned by Marvel/Disney and he can only get so high. I would like to see you take your concept as high as you can, without the limitations, or constraints, placed on it that are placed on Black Panther. 1. Why hasn’t Shuri done anything about T’Challa, her brother, being missing in a wormhole for two weeks? It is not only unacceptable; this is completely out of character. Comics Shuri would’ve been on the job within days. She did so days after T’Challa was brought back from limbo in BP Vol. 5: searched for T’Challa’s attacker soon after Morlun was defeated. 2. Shuri being a Black Panther wasn’t a good fit? Why? No explanation was given. Furthermore, T’Challa is the one known to rule differently than his predecessors. Shuri ruled more or less like the previous panthers. 3. Died wearing the BP suit? That’s part of the job. BPs know they could possibly die in the line of duty because they put their lives on the line for Wakanda. 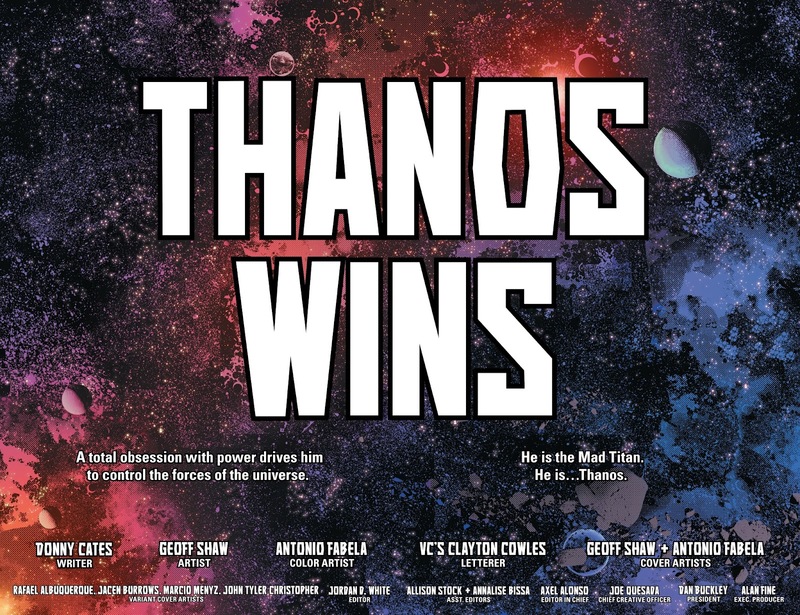 T’Chaka died in battle. S’Yan died in battle (post retirement). T’Challa nearly died in battle. Shuri died in battle too. Why is Shuri rejecting her duty, which is extremely contradictory to her previous history? These panels are barely a year old. What happened between then and now? 4. In her brother’s shadow? The Wakandan-Atlantean war greatly contradicts that. She had the support of the military, the government, the Hatut Zeraze, the Dora Milaje and the Wakandan people. She left her brother’s shadow a long time ago. Upon her return to the living, Akili addressed by her former title of queen, the same way Wakandans addressed T’Challa as King when he wasn’t: as a sign of respect. Ayo said Shuri dying was a factor in her breaking away from the crown with Aneka. She and Aneka addressed her as “Queen” as well. 5. Confused on the “Wakanda wanted my brother” line. T’Challa just dealt with an insurrection. Every ruler deals with it, Shuri included. Doesn’t mean that Shuri is a better leader. It means that Wakandans are, ultimately, a highly critical bunch and a very tough people to please. T’Challa took a lot of flack from them. So did Shuri. I’m sure T’Chaka and S’Yan got their fair share of criticism (T’Chaka in particular for marrying an outsider in Ramonda). This is nothing new. That “Wakanda wanted my brother” line, in its proper context, feels very hollow. 6. Wakanda standing on its own without a protector? Did she forget that she’s known as the Aja-Adanna? The Keeper of Wakandan Lore? She is a symbol by default. Furthermore, she’s a former BP and former ruler that came back from the dead. Doesn’t get any more symbolic than that. Again, why is she rejecting her duty? Why is she downplaying the Black Panther line to just symbolism and just a protector? The Black Panther line has been a major institution of Wakanda, and it worked! As a ruler, Shuri took Wakandan traditions very seriously. She continued to do so after returning to the living. You could argue that, in key moments, she took them too seriously. When did this change? Why the change? Again, no explanation and its highly contradictory from previous (and recent) iteration of the character. 7. “Let’s show the world who we are”? Not sure what that means. I do know that she’s the Princess of Wakanda, the second-in-line to the throne, a former Black Panther, and a former head of state. Did she forget who she is? 8. Modern African democracy is the future? The monarchy is the reason why Wakanda is ahead of the pack. Wakanda is the future. 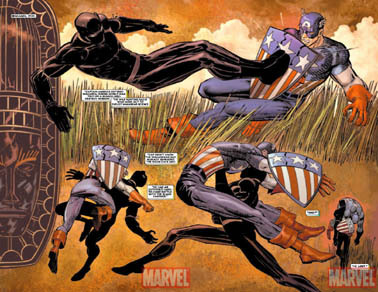 Said “democracy” is still relying on the Black Panther mantle as recently as season 2 of the Coates BP run. 9. Worship T’Challa? Is this about Shuri or T’Challa? Would said character be okay with Shuri ruling? Why the shade on T’Challa? Why not go at the monarchy instead of him in particular? Who said anything about worshiping T’Challa? Also, the T’Challa shade has to stop. Season 1 of Coates’ BP was more than enough. Many will argue that it went too far. We get it, some Wakandans don’t like T’Challa, for various reasons. We had twelve issues about that. Time to move on. Enough is enough. 10. The exchange with Ramonda make sense if one didn’t know Shuri’s comic book history. Comics Shuri, in this particular scenario, would’ve accepted the mantle or—at the least—say no, but insisted on finding out exactly what happened to T’Challa first before doing a mantle transfer. Shuri didn’t shy away from her responsibilities for her people and nation. Again, why is she rejecting her duties all the sudden? She might as well abdicate from her position as Princess if she’s going to act in such a fashion. 11. Shuri crying in this particular situation? Just like T’Challa didn't get any sympathy from me when the whole incursion stuff went down, neither will she. At least when T’Challa cried, the existence of Wakanda and another Earth was on the line, and he ended up being disowned by T’Chaka because of his choice. 12. Shuri needs “a little time” to find T’Challa. She had two weeks, what was she waiting for? This Shuri though? For this portrayal to work, I would have to know nothing about Shuri’s previous history. Said history—as recently as the Coates run—outright contradicts that entire conversation in the preview page. Comics Shuri would’ve started looking for T’Challa long before this meeting. Comics Shuri would’ve accepted the mantle, or at the least insisted that they should find out what happened to T’Challa first. Comics Shuri never ignored or rejected her duties. She was a leader in her own right, and a respected one towards the end of her reign and onward. This Shuri in the preview pages? She’s no leader. She cowers from her duties. Hides when things get tough. Claims to want to not be under T’Challa’s shadow, but then runs when it’s time to step up. This is supposed to be the same character that helped defeat Morlun? Eliminated the Desturi? Went toe-to-toe with Namor? Declared war on Atlantis? Had the support of the Hatut Zeraze (AKA the War Dogs, AKA the goons of Wakanda) the Dora Milaje, and the Wakandan military? Fought Proxima Midnight to the death? Got the Doras back in line upon her return? Earned the hard-fought respect of her people? Well said. You also just went deep. I have my issues with the Shuri book but you really broke it down and showed how it contradicts even the recently established Coates's canon. A well-written rejoinder. It makes me like the two issues I've read even less. #4 is the best so far. Moses makes a cameo and Tchalla has set up a Pan African council for the past two years. They were better off leaving the intro page out. Lol. The art difference is too obvious. Only a few narration boxes, but Shuri feels more mature. Is this the new writer or Nnedi still? New writer for three issues I think. If Marvel Comics isn't letting T'Challa ride on DOOM after all the unstoppable international acclaim that his movie garnered? I simpy have zero real expectations for Shuri, despite my soaring hopes for her potential as a character.